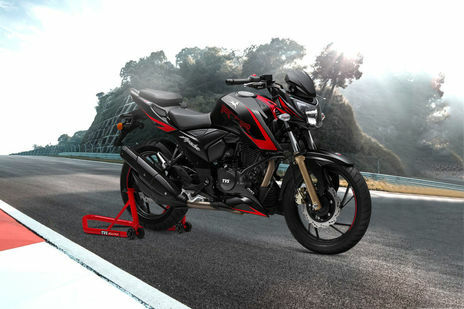 TVS Apache RTR 160 vs TVS Apache RTR 200 4V Race Edition 2.0: TVS Apache RTR 200 4V Racing Edition 2.0 Standard is the more fuel efficient one with a claimed mileage of while the claimed figure for TVS Apache RTR 160 Disc is . 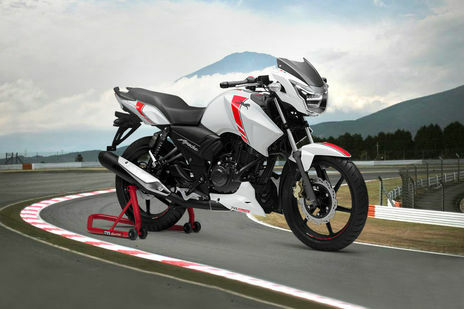 TVS Apache RTR 160 is priced at Rs 78338 (On road, Delhi) while TVS Apache RTR 200 4V Race Edition 2.0 is the costlier one priced at Rs 97005 (On road, Delhi). Apache RTR 160 is available in 0 colour options while Apache RTR 200 4V Race Edition 2.0 has 5 colours to choose from. Q. IS TVS Apache RTR 200 4V Race Edition 2.0 has a DUAL CHANNEL ABS? A. TVS Apache RTR 200 4V Race Edition 2.0 has a dual channel ABS. Q. What is the mileage of TVS Apache RTR 200 4V Race Edition 2.0 and isit comfortable for a person of 5.6ft height? A. The ARAI claimed mileage of Apache RTR 200 4V Race Edition 2.0 is 40.2 kmpl .The city mileage of Apache RTR 200 4V Race Edition 2.0 is 46.9 kmpl . The highway mileage of Apache RTR 200 4V Race Edition 2.0 is 41.58 kmpl .The claimed ARAI mileage for the TVS Apache RTR 200 4V Race Edition 2.0 petrol is 44 kmpl. Yes, this bike will be comfortable for you. But before the final decisions suggest you take a test drive of the vehicle to understand the power and comfort better.